Sheri Payne Tignor comes to our practice as a Family Nurse Practitioner. 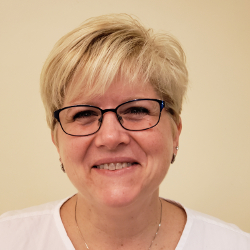 Sheri has a Bachelor of Science in Psychology and a Bachelor of Science in Nursing as well as her Masters in Nursing and received her certification as an FNP from the American Academy of Nurse Practitioners. With 17 years nursing experience, Sheri has worked as an Adult and Pediatric Emergency Department nurse, Hospice nurse and PICU nurse. Sheri was born in RVA and moved to multiple other states during her upbringing but returned to her original home of Richmond full time after attending James Madison University. Sheri resides in Henrico County with her husband and family. Sheri has a daughter and claims three step children as her own as well as three dogs, a cat and multiple Koi in her pond. During her free time, Sheri enjoys snow skiing, boating, jet-skiing and riding 4-wheelers with her family.